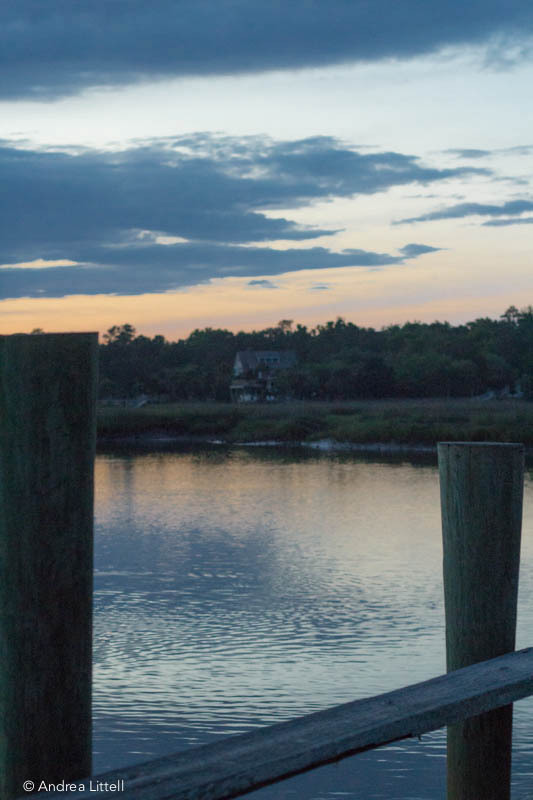 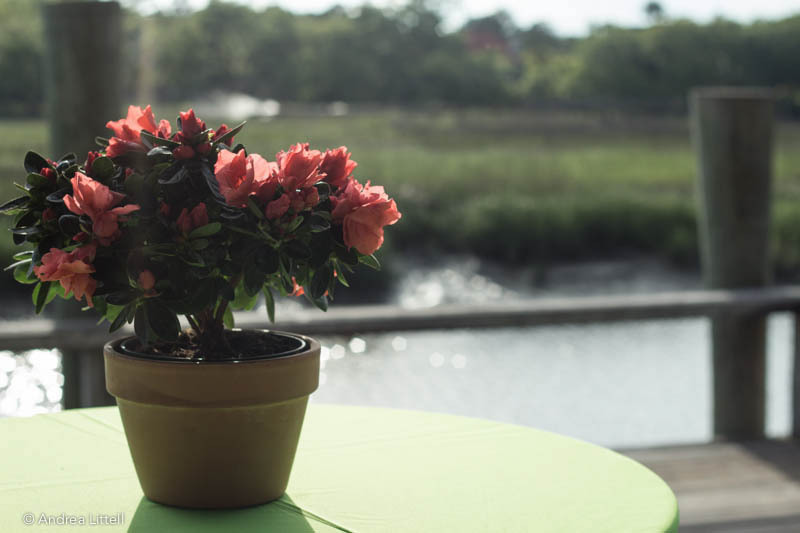 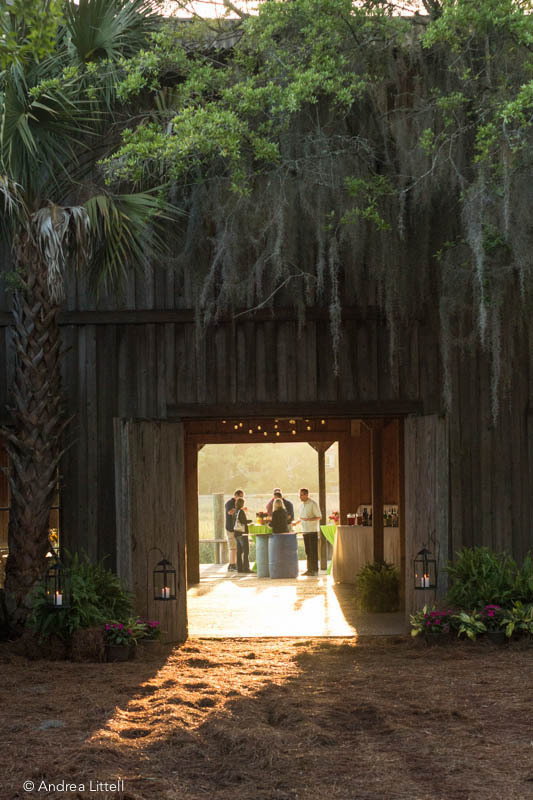 The smell of saltwater in the warm air… the taste of spiked sweet tea and freshly shucked oysters… the sounds of toe-tapping bluegrass being played…the feeling of cool sea breezes as the sunsets over the marsh… this is our Charleston. 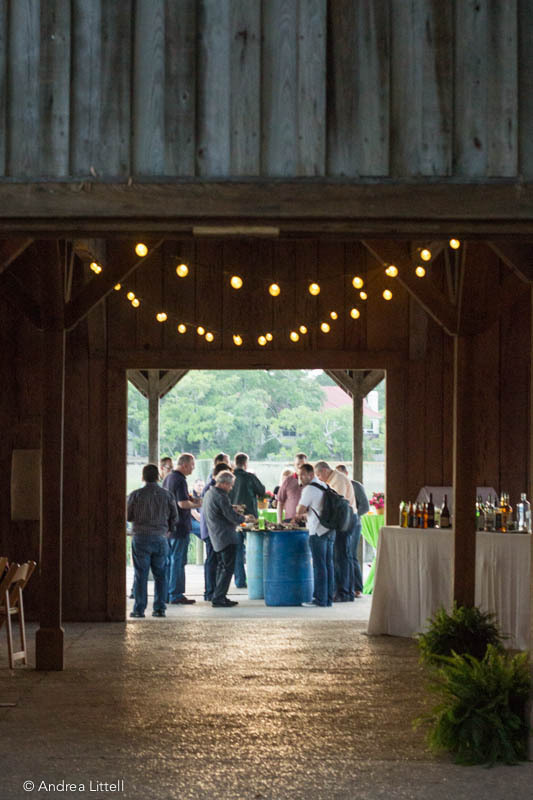 The event space is a very rustic shell with stunning sunset views. 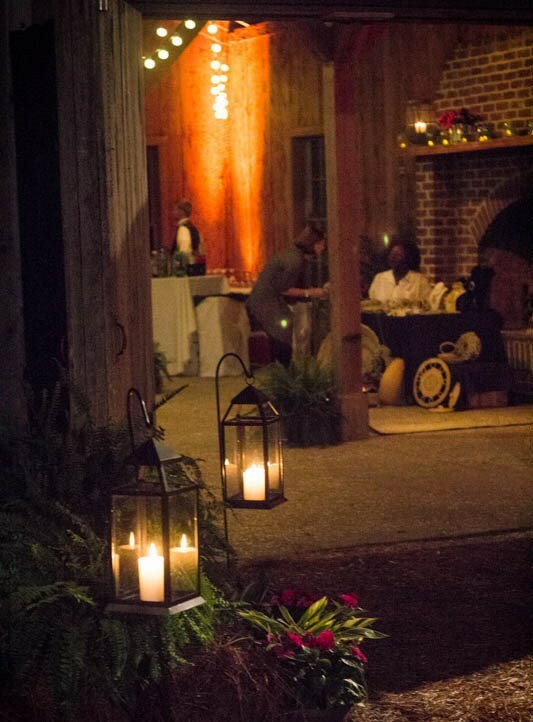 When designing the event, we new we wanted to keep the décor simple and organic to stay within budget. 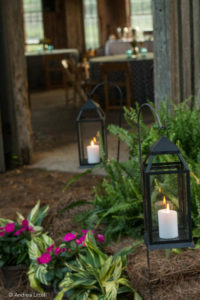 This would also allow us go bring energetic interaction to the space. 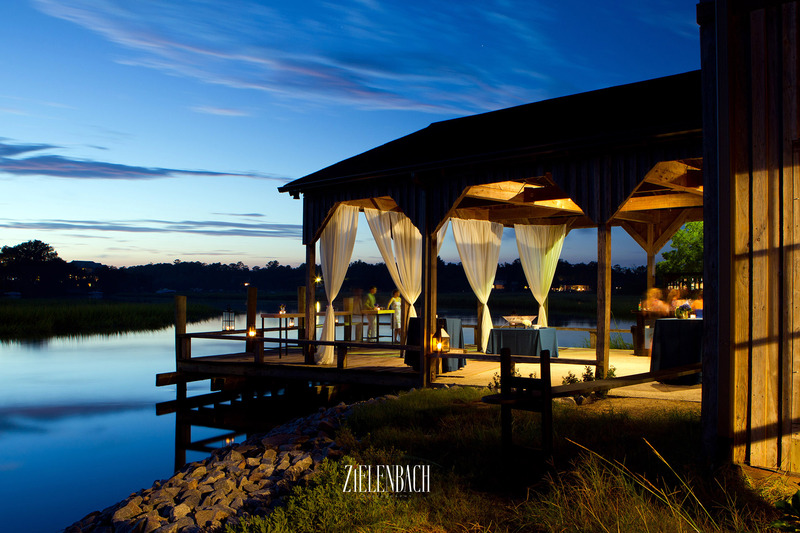 We also wanted to make sure that we drew guests outside to the gorgeous views. The ultimate goal was for the guests to relax and reenergize after a day of meetings. 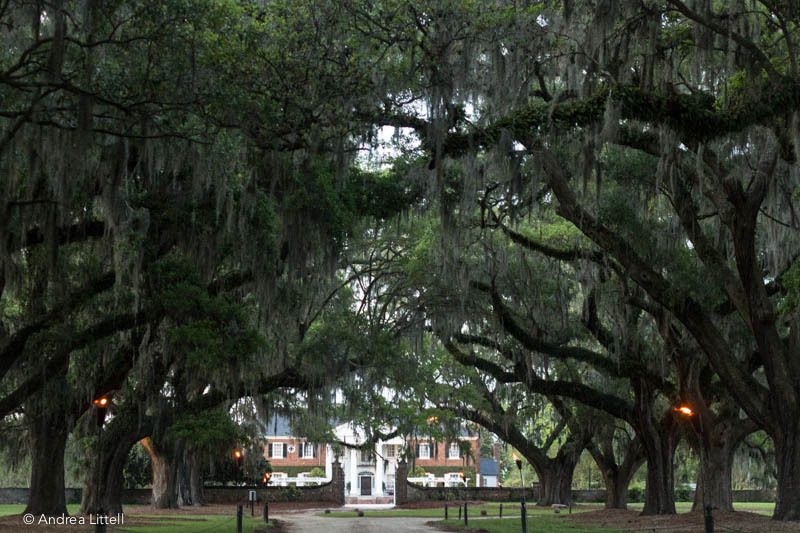 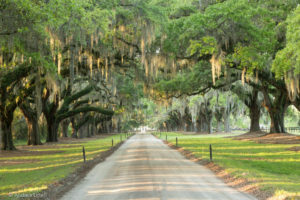 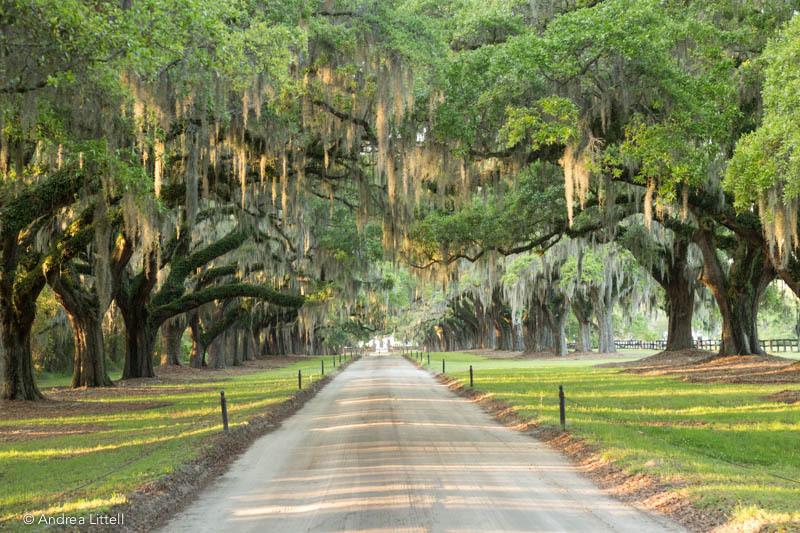 Guests arrived by bus and slowly made their way down the 269-year old Avenue of the Oaks – over 300 years of history and grace resides here. We met the guests at the mansion for a tour of the restored plantation home and gardens while making our way down to the Cotton Dock. 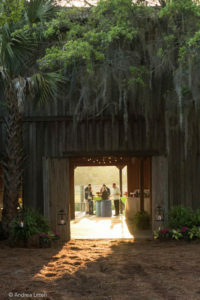 As they walked through the wooden doors they were met with a cold Mason Jar with the night’s signature drink made with spiked Firefly Sweet Tea. 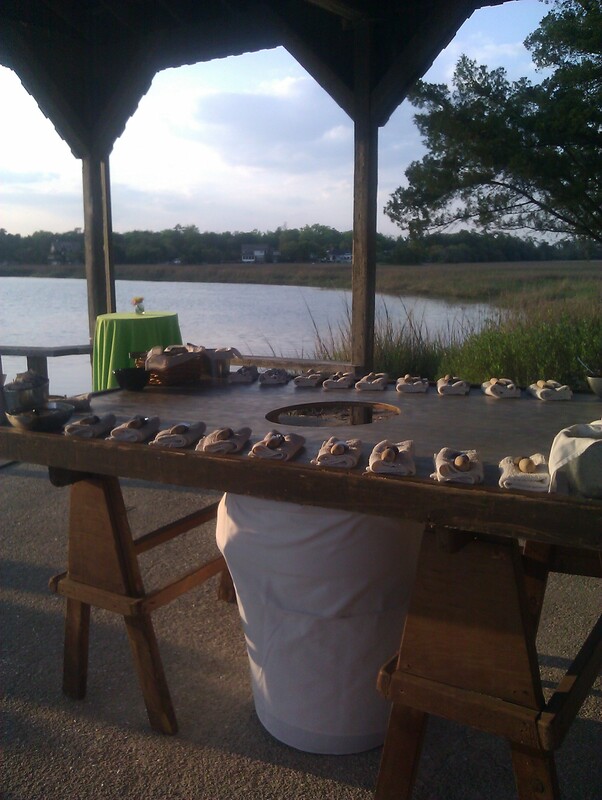 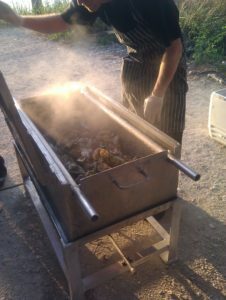 Eager guests dove right in shucking and learning about oysters in the Low Country. 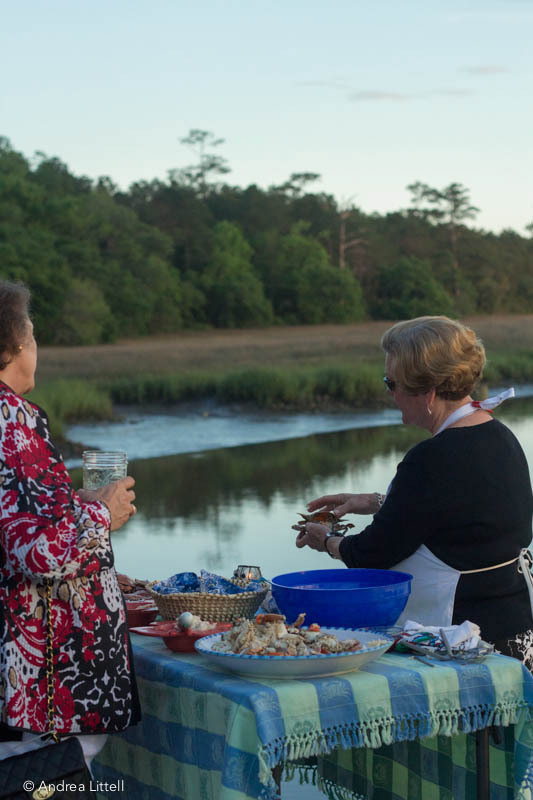 Also, outside was our dear friend, Miss Lynne – our charismatic crab lady herself. 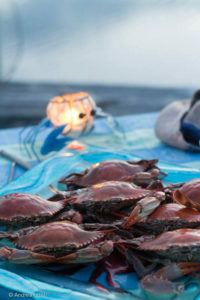 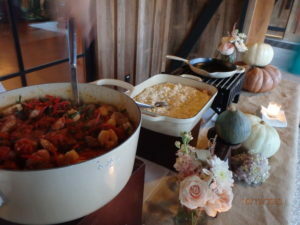 She shared colorful stories and taught guests all about crabs and how to prepare them in many dishes. 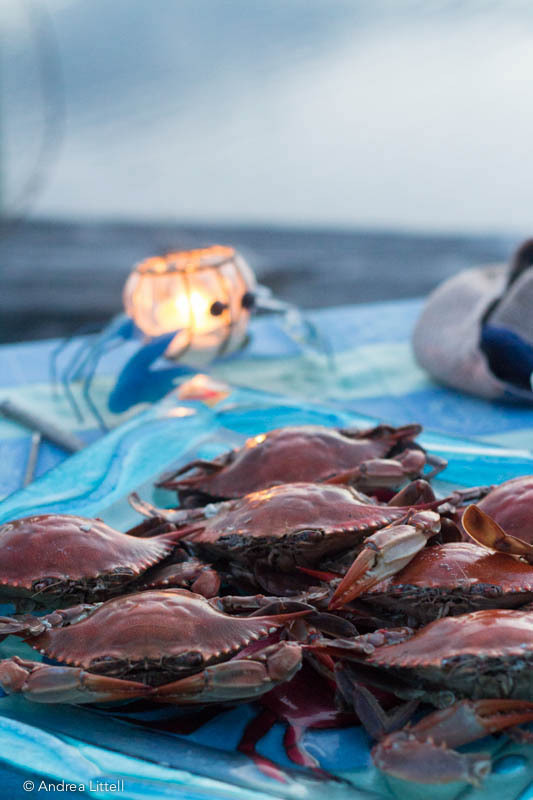 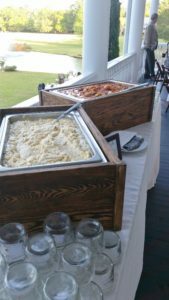 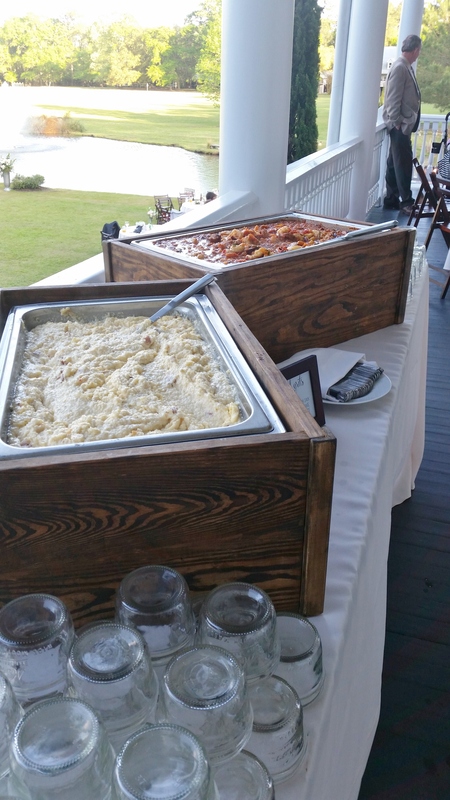 She even shared tastes of the fresh crabmeat right out of the shell as she told them about her signature crab dip! Sweet grass artisans were also on hand to show the Gullah tradition dating back to the 18th century. 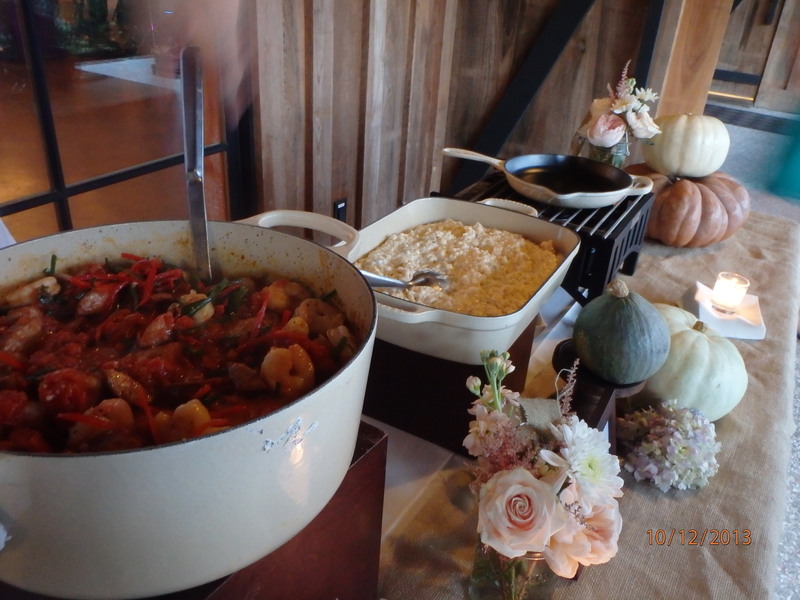 Guests could also purchase the beautiful baskets if they wanted. 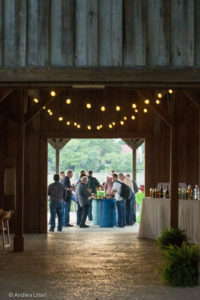 The evening was truly a Laid-Back Low-Country success enjoyed by all!